Will South Africa host Afcon 2019? Crisis looms as Cameroon is stripped of rights, with people calling for Safa to bid to hold the event. South Africa is one of the countries that has been punted as the possible host of next year’s Afcon tournament after Cameroon were stripped of the hosting rights on Friday. 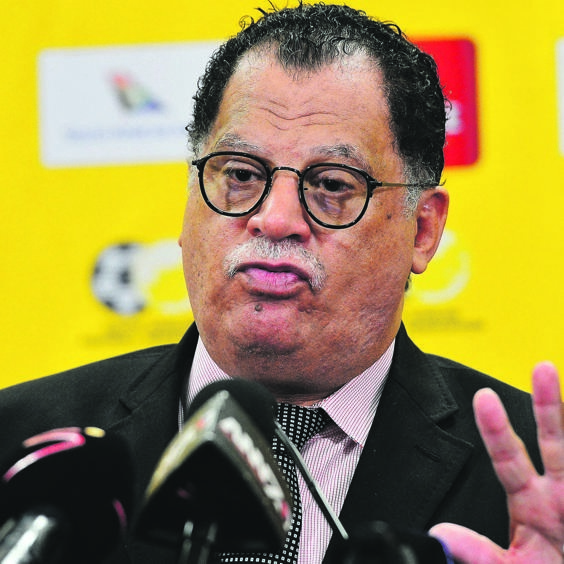 Safa president Danny Jordaan – who serves on the CAF’s executive – told City Press yesterday that he would report back to Safa’s ordinary congress in Sandton today so that they could give him direction. “It is a crisis and people are already saying South Africa must bid,” said Jordaan from Accra, where he was part of a 10-hour CAF executive meeting that made the decision to withdraw next year’s Afcon from Cameroon, citing delays in preparations. For Safa to bid, it would need guarantees from national government, including serious financial backing, to tick all the boxes. “I am going to report to the [Safa] congress and hear what their suggestion is. I will then meet the sports minister [Tokozile Xasa] and, probably within a week, we’ll know our position,” said Jordaan, who attended last night’s Women’s Afcon final between Banyana Banyana and Nigeria. Should South Africa bid, this will be the third time in five years that they have come to CAF’s rescue after the 16-team 2013 Afcon and 2014 African Nations Championship – known as Chan – tournaments were staged on these shores. This was after Libya – due to political strife – swapped the hosting rights with South Africa for the two tournaments. According to the report presented before the sports portfolio committee four years ago, the Afcon cost the South African government R102 million, while CAF contributed R54 million. The total expenditure came up to R293 million, with Chan costing nearly R100 million to stage. This year’s tournament is scheduled to have 24 countries compete against each other. CAF president Ahmad Ahmad said on Friday that a task force would be set up to launch an appeal for offers to determine a new organising country, with the closing date for bids set for end of the month. Morocco is also believed to be interested in stepping in as hosts for the continental showpiece, which is scheduled to run from June 15 to July 13. Despite political interventions, the rights were taken away from Cameroon, which was initially awarded the tournament when it was based on a 16-team format. The event was then expanded to 24 contestants, a decision that was rubber-stamped by the CAF executive only in July last year. Jordaan said a host country would need six to seven stadiums. South Africa ticks all the boxes as 10 stadiums were built for the 2010 World Cup. “When you organise an event like Afcon, safety and security is the responsibility of government, which must also undertake to issue visas for 23 countries when they come in. But not everyone is keen on South Africa hosting another Afcon final.